Alabama is the 23rd largest state in the country, and Huntsville is the 4th largest city in Alabama, but even those in the smallest state in the country know that the internet has changed the world of marketing. From Facebook and Twitter, to placing ads on strategic websites via retargeting, we know what works when it comes to internet marketing, and we can make it work for you. We offer a live seminar to show you how to develop your own comprehensive web campaign, and we also offer the option to hire us to do it for you. Regardless of who develops your internet marketing campaign, it helps to know what is working now and why. We stay on the cutting edge of these trends by traveling to major internet marketing conferences and holding online mastermind conferences to share our findings with the leading marketers in the world. Social media is a huge catalyst for the internet and mobile marketing. Facebook, Youtube and Twitter marketing works by creating posts that generate interest in topics that are compelling to your customers and fans. It works even better, however, to get those who are interested or may know someone who is to tell their friends about you. A great product or service can spread like wildfire through social media. You also have the option to buy ads on Facebook, and the great thing is that it will only pop up on the pages of those who may be interested based on fan page likes. 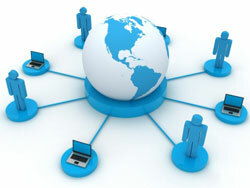 This can really take your internet marketing campaign to the next level. Lastly, it is possible to develop a campaign that picks up on the searches of potential customers and uses that information to determine whether or not to post the ad where they can see it. We have the capability to do each and everyone one of these for you, and more. We can also walk you through steps of creating your own successful local, regional or national campaign.